The laundry room! Is it important when potential buyers are looking at your listed home? Most people these days will definitely answer – YES! When preparing your home to sell, don’t forget about this very essential room in your property. Staging your laundry room can draw attention to a bright, clean space that is functional and necessary to every home owner. Take a moment to look at your current laundry room – does it need a good cleaning? Clearly, having a laundry room is a top priority when buying or building a home. Now, where do we want that laundry room? 37 percent prefer a laundry room near the bedrooms. 20 percent like a laundry room close to the kitchen. 17 percent would rather wash and dry in the basement. 12 percent would keep the laundry machines in the garage completely out of sight. Slap a fresh coat of paint on the walls – clean any windows (if there is a dull view, hang a thin blind so that light still comes through but blocks the outlook) Install a new modern light fixture, there are several good ones out there nowadays and be sure to use a high watt light bulb. Throw out all of those old detergent bottles and containers, old cardboard boxes of Tide etc. Add a nice garbage container and arrange your cleaning products nicely and orderly in baskets or in cupboards (that you have cleaned!) Try putting your washing powder into a glass container with a scoop – very trendy! Stand back and imagine you are looking at this room for the first time. Have some fun with the decoration! Add a mat (that can be easily washed) a cute laundry hamper and hang a cute laundry sign in an inexpensive frame to add some flare to your space! Here are some free templates that you can download – print and frame to add pizzazz to any laundry room wall. 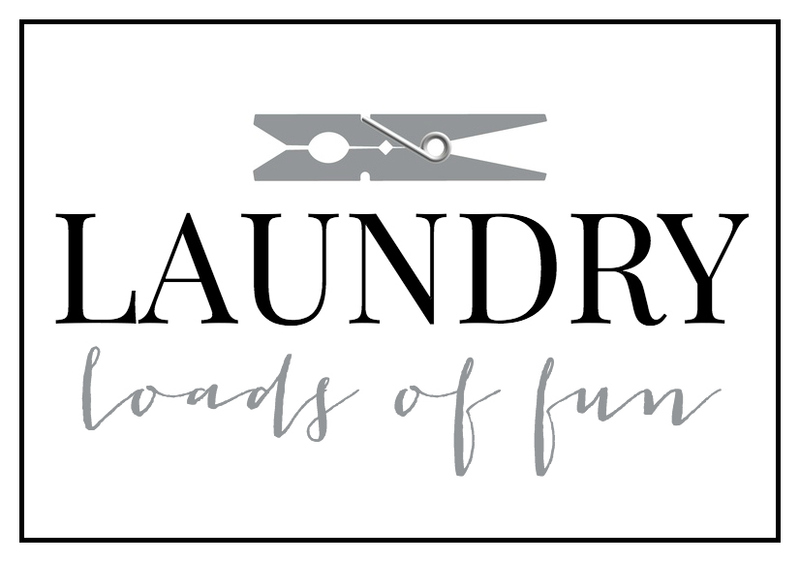 There – you have created a fresh inviting space where any buyer would want to do all of their laundry! Now – onto the next room in your house! Come back to see what we recommend for that!